Learn how to run payroll checkup in QuickBooks Desktop. 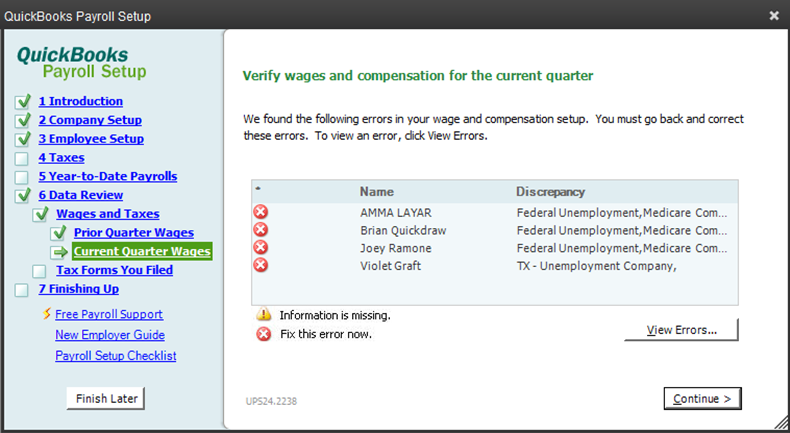 Verify your current setup by scanning your payroll data for missing information and discrepancies. Review employee records, payroll item set up and wage and tax amounts. Identify tax amount discrepancies on flat-rate tax and will offer suggestion on how to fix the problem. We'll show you how to run it. Note: If you have Quickbooks Desktop Payroll Assisted, do not run the Payroll Checkup. If you need help fixing payroll calculation errors that affect taxes filed by Intuit, contact us. It's essential that before you run a Payroll Checkup, you create and save a backup of your data file. Choose Employees > My Payroll Service > Run Payroll Checkup. Follow the onscreen instructions. And select Continue to go through the various steps. If you find discrepancies in your payroll data, Payroll Data Review Report can help you identify the source of the discrepancy. Select Reports, then Employees and Payroll. Review the report for any setup error. In the Review your payroll data window, select: Yes to generate a report that can be used as a reference when you enter correcting adjustments to wage and tax discrepancies. In the Data review, for each item that has a red "fix it" error, we provide explanation and instructions on how to fix it. If it's an employee record setup error or payroll item, it won't let you continue until you fix the problem. If there is a wage and tax discrepancy found on this report during Data Review, print the Payroll Item Discrepancies report. 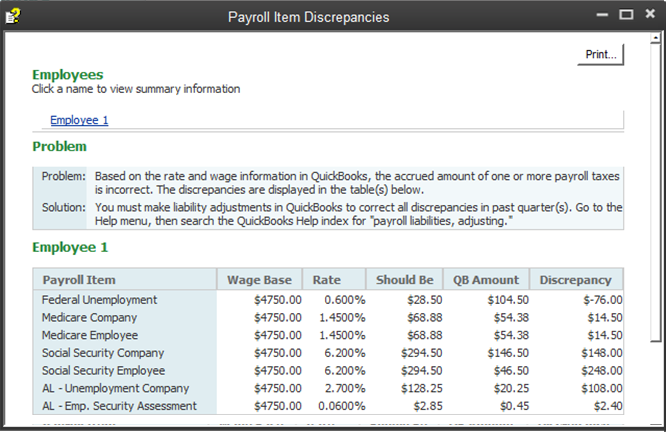 Select No to allow the Payroll Checkup to create wage base discrepancy adjustments. Select Continue to finish the Payroll Checkup. Use the Payroll Detail Review Report to identify tax discrepancies. 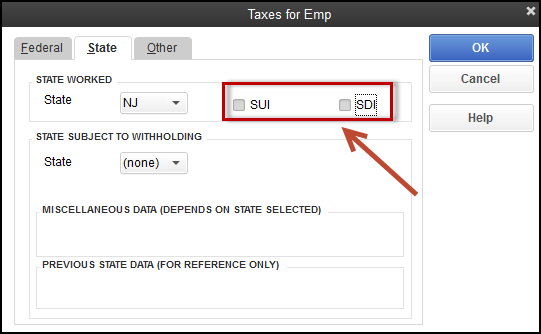 Create manual adjustments to correct wage or tax discrepancies. By default Payroll Checkup only reviews data for the current year. If you need to run a payroll checkup for a previous year, you must change your computer's system date to the last day of that year. For example: If you run Payroll Checkup for 2018, you must change the system date to 12/31/2018. Be sure to change your system date back to the correct date when you finish running Payroll Checkup.